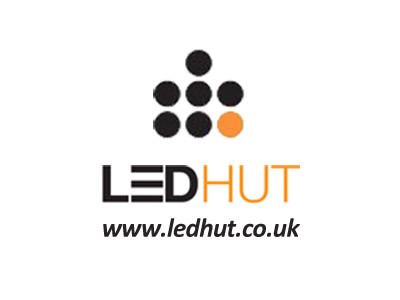 LedHut Ltd supplies LED products to customers throughout Europe. The LedHut headquarters are located in Jersey (Channel Islands) with an operational base in Manchester, Great Britain. Both locations showcase the range of products on offer via two show rooms with the added ability of being able to purchase/pick up from two Trade Outlets. LedHut now has additional sites serving customers in France, Germany, Australia and New Zealand. LedHut Ltd started trading in March 2011 and has been quick to establish itself as one of the leading providers of LEDs into the United Kingdom. Offering competitively priced products, strong product guarantees, the right product certifications and with a great UK delivery service, LedHut is the preferred supplier of LED products for many customers. LedHut operates a dedicated call centre consisting of multi-lingual customer service representatives who are able to assist with any LED queries and with dedicated Trade Account Managers providing business to business support for wholesale customers. Over the past year LedHut has replaced over 900,000 standard lights with Energy Saving LED Lights, resulting in total customer savings of over a £3,500,000 which has led to the reduction of over 3000 tonnes of Carbon Emissions. Save yourself money and save the planet...just change your lights to LED lights...it's that simple!